Doctors rated only 1 percent of cancer patients' requests for interventions as unreasonable. The researchers note that they looked only at the views of cancer specialists. (Bloomberg) — Researchers say results of a cancer care provider survey they organized contradict the idea that unreasonable patient demands play a major role in driving up U.S. cancer care costs. 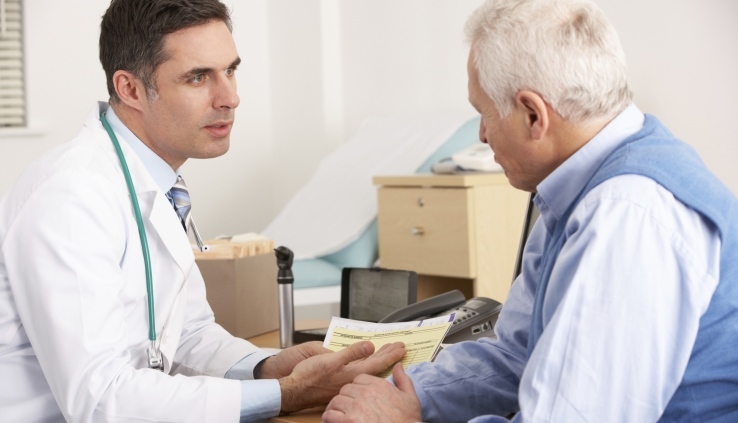 Only 1 percent of cancer patients ask for what health care providers believe to be a clinically inappropriate medical intervention, according to a paper the researchers published Thursday in the Journal of the American Medical Association Oncology. Suggestions were considered unreasonable when the surveyed doctors ranked them between 1 and 3 on a 10-point scale in which the highest mark represented a request that was the most appropriate. More than half of American physicians believe that patients have a “major responsibility” to help contain ballooning health-care costs, according a 2013 survey, while only 36 percent of respondents said doctors do. In another survey, more than 90 percent of doctors said they ordered more tests and procedures than necessary because they fear malpractice suits. See also: UR Programs Usually Say Yes To Doctors: Study. Doctors tend to pin the rise in health costs on know-it-all consumers who insist on drugs and services they don’t need, according to Ezekiel Emanuel, the study’s senior author. “Were my colleagues really right or wrong when they said patients are really driving it?” Emanuel, a professor at the University of Pennsylvania, asked in a phone interview. The answer is no, he said. Still, dealing with patients who inform themselves about their conditions online has changed the usual medical relationship, according to Anthony Back, a cancer specialist at the Seattle Cancer Care Alliance. For the study, between October 2013 and June 2014, 60 cancer clinicians were asked after their appointments, or in the middle of the day, if their patients had made any requests and, if so, to rank the appropriateness of the request. In more than 5,000 appointments, patients asked for interventions only about 9 percent of the time, and doctors thought 86 percent of the requests weren’t unreasonable. One patient asked unsuccessfully for proton-beam therapy, and there were also requests deemed inappropriate for chemotherapy agents and surgeries. Doctors did comply with patient requests for two chemosensitivity analyses, two imaging studies, two blood tests and one hemodialysis that they thought were inappropriate. More than half of the requests deemed appropriate were for imaging tests. Because the study only looked at cancer specialists, it might not apply equally to other areas of medicine. See also: Where the Health Care Money Is: Radiology. In many cases, both doctors and patients are too resistant to considering cost, Marion Danis, a bioethicist at the National Institutes of Health, said in a phone interview. “Both doctors and patients are not really as experienced as we might be in thinking about health care costs in a useful way,” Danis said.